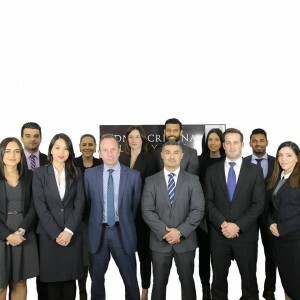 Posted April 9, 2019 by Sydney Criminal Lawyers & filed under Criminal Law. In the late 1990s, Renee Fuge was at a friend’s place when another guest, Ms B, told those present that she’d been sacked from Maitland Hungry Jacks for lateness. The woman added that she still hadn’t been paid for her last shifts at the restaurant. As the night wore on, Ms B suggested that Ms Fuge and the others should go and rob the fast food joint with her. The group donned bandannas and stockings to conceal their identities, before stealing a car and driving to the Hungry Jacks. As three staff members were leaving the building, Ms B and the others approached them with knives, demanding they open the safe. However, the staff member were unable to it as the combination had been changed. The group the fled empty handed, only to be apprehended by police shortly thereafter. Ms Fuge was arrested and charged with accessory to robbery, contrary to sections 94 and 346 of the Crimes Act 1900 (NSW). The maximum penalty for the offence is 14 years behind bars. Section 346 of the Act provides that an accessory before the fact is liable to the same penalty as the principal offender. The trial judge found the defendant guilty as charged.  However, Ms Fuge appealed the conviction to the NSW Court of Criminal Appeal (NSWCCA) on the sole ground that she only participated in the robbery to assist Ms B to recover unpaid wages. The defence Ms Fuge’s lawyers put forth on appeal is known as the “claim of right” defence, which is a legal defence that’s existed in British common law since at least 1844. Hemming further pointed out that the claim of right exists in all Australian Criminal Codes: Criminal Code 1995 (Cth), Criminal Code 1983 (NT), Criminal Code 2002 (ACT), Criminal Code 1902 (WA) and Criminal Code 1924 (Tas). The legislation further provides that the person committing such an offence “is not criminally responsible for any other offence” arising out of the act. However, the section does not “negate criminal responsibility for an offence relating to the use of force against another person”. NSWCCA Justices Dyson Heydon, James Wood and Brian Sully presided over 2001’s R versus Fuge. And although the text of Fuge’s appeal is restricted, the principles of the common law authorities to a claim to right defence that the judges compiled in their full findings is still available. The list of principles commences by stating that a claim of right involves the honest belief that another person held property or money that the accused had the right to. And the accused must have genuinely and honestly held this belief, regardless of whether it was “well founded in fact or law”. The belief doesn’t have to be reasonable. It must be based in legal entitlement, not moral entitlement. And the defence can be argued when the crime perpetrated in retrieving the property involved assault or the use of a weapon. The claim is not confined to just specific property or bank notes, but can extend to cases where something equivalent in value is taken. However, the defence is not valid where the accused took more than the value of what they believed they had a right to. In the case of an accessory, what’s relevant is the honest right to claim of the principal offender, as there can be no “accessorial liability” unless there’s been “a foundational offence”. And lastly, it’s up to the prosecution to disprove a claim if there’s been sufficient supporting evidence to satisfy a jury. But, although the defence was open to Ms Fuge’s legal team to argue, it didn’t work as it was found that if the group had been successful in accessing the money in the safe, they were going to take more than simply what was owing to Ms B. And while the others involved were well aware of the idea that in perpetrating the robbery they were going to retrieve the wages that were owing to Ms B, they all thought this was just a joke. So, this undermined Fuge’s defence, and the justices dismissed the appeal. Two of the presiding justices in the Fuge case took the opportunity to cast their doubts on whether the claim to right should be available for an individual accused of robbery. Justice Heydon remarked that he found the availability of the defence “an astonishing proposition” in need of reconsideration. While Justice Sully said he completely agreed with his colleague in drawing attention to this “absurdity”. And he recommended that the claim to right defence needed “prompt and specific legislative correction”. As the High Court of Australia pointed out in 1987’s Walden versus Hensler the claim to right defence doesn’t simply pertain to cases where the accused is seeking to obtain property, it also applies to offences relating to the damage or destruction of it. And as an example, the court justices referred to the 1863 British case Taylor v Newman, which involved a neighbour’s pigeons flying onto the accused’s land and picking out sown seeds. The accused complained about the trespass and threatened to destroy the pigeons if it happened again. When the pigeons returned, the accused fired a shot, which sent them flying into the air. Then a second shot killed one of the birds. And after being found guilty of the unlawful killing of a pigeon, the conviction was quashed on the ground that the claim of right negated “a wilful and wanton intention”. As Justice Blackburn remarked back in the time of the judgement, there was a mental element involved in this case similar to that involved in larceny. “The farmer who was protecting his crops, and who really thought he was doing a lawful act, cannot be said to have unlawfully killed the bird,” his Honour reasoned.